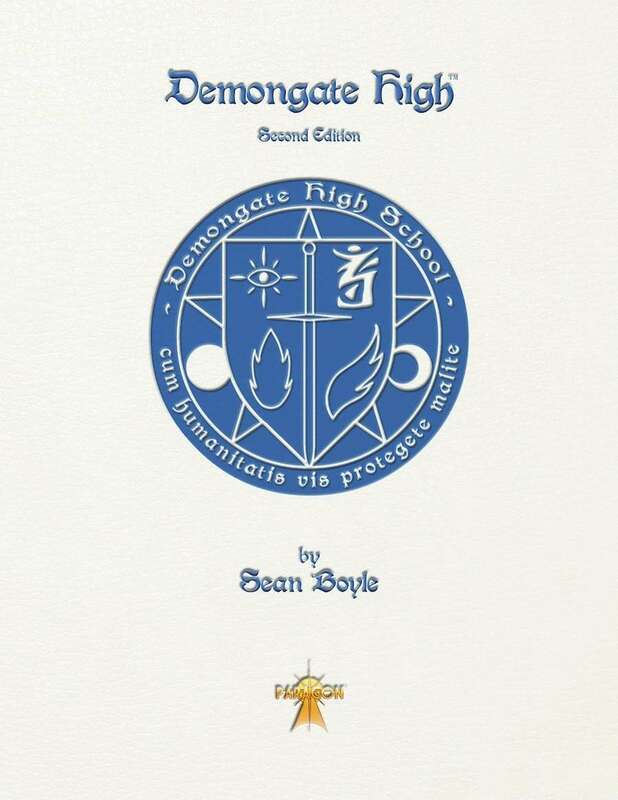 This all-new second edition of Demongate High includes more than 100 demons, dozens of celestial and terrestrial beings, expanded rules, hundreds of new skills and powers, and everything you could want to know about the world of Demongate High. Clocking in at over 500 pages, this book features hundreds of illustrations and information about the world both within and outside of Demongate High School. It includes detailed descriptions about dozens of supernatural organizations and all the planes of the multiverse, complete statistics for every full-time faculty member, and a plethora of plot hooks. In short, this is your one-stop resource for years of adventures within the Demongate High universe. To use this book, players also need the Paragon Universal Role-Playing Game rule book, and each gaming group needs a set of Paragon Cards (sold separately).